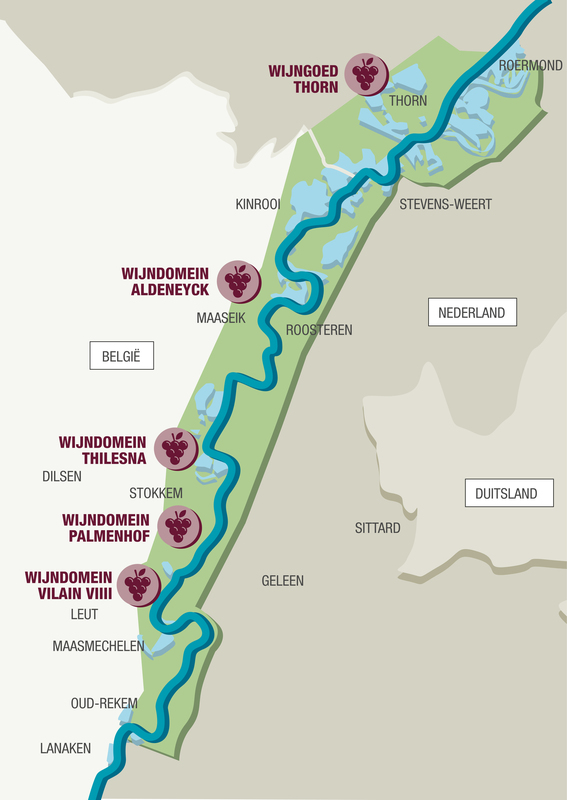 The European Commission has approved Maasvallei Limburg, the first ever cross-border PDO (Protected Designation of Origin) appellation, a 60 square-mile area, which straddles the Flemish lands, either side of the River Meuse between Belgium and the Netherlands. In similar fashion to English producers, winemakers in the new protected wine production area use Pinot Noir, Pinot Blanc, Pinot Gris, Auxerrois, Riesling and Chardonnay to make their wines. Like producers in Britain, winemakers in Maasvallei Limburg, have benefitted from climate change. “We have less rainfall here than in Piedmont, Italy and this allows us to achieve optimal ripeness of grapes,” Karel Henckens, producer and owner of Aldeneyk vineyard in Belgium told Harpers. Producers in Maasvallei Limburg will now be able to label their wines with the red and yellow stamp of the new PDO. Henckens, who worked on the PDO dossier said yesterday’s approval of the protected status was a recognition of the unique characteristics of terroir and climate in the region. “Our stony, gravel soils (of limestone, quartz and flint) do not stop at the border; the official approval of our PDO is a recognition of our identity,” he said. Henckens, who has been making wine for more than 15 years and is known for his production of Pinot Noir and Pinot Gris, said the appellation would boost the incentive for growers to improve production in line with the five key producers in the new appellation. As well as still wine production, about 20% of production in the area is sparkling wine. “In Belgium we drink so much sparkling wine that we have to produce fizz,” Henckens said. The approval of the PDO comes 150 years after Napoleon, in an act of protectionism, uprooted vines planted in the area, forcing local farmers to focus on beer production.